Under Heard’s leadership, Vanderbilt grew and prospered, adding three schools to the seven it already contained, constructing three dozen new or radically enlarged buildings, conducting two highly successful fund-raising campaigns, doubling its enrollment and increasing its annual budget tenfold. The university also recruited distinguished faculty, who achieved new levels of quality in both teaching and research. Heard was much admired by the faculty as an administrator who had previously distinguished himself in academia as a scholar of the U.S. election process and presidency. Even after retirement, he frequently lunched with a large number of faculty members at the University Club on campus. He regularly worked from his office at Kirkland Hall well into his 80s. As chancellor, Heard was highly regarded by fellow U.S. higher education administrators for maintaining campus stability during the tumultuous 1960s and 1970s. Vanderbilt seemed a relative citadel of peace in contrast to the turmoil at other colleges and universities, where rioting, vandalism and violent protests were the norm. “In the history of 20th century education, especially the challenging decades of the 1960s and 1970s, few leaders have been as effective, courageous, ethically consistent, or influential as Alexander Heard,” Theodore Hesburgh, President Emeritus of the University of Notre Dame, wrote in the forward to Heard’s 1995 book, Speaking of the University. From early in his administration, Heard held quiet, regular meetings with student leaders, including some of the foremost campus radicals. He earned the respect of the student body with his staunch defense of the open forum – the right of students and faculty to invite to the campus speakers of all political persuasions in an effort to better understand their views. With his encouragement students in 1964 began the Impact Symposium, which is now one of the longest-running student-operated speakers series in the nation. In 1967, the Impact student organizers invited a slate of speakers that included Martin Luther King Jr. and Stokely Carmichael, an outspoken advocate of black power and chairman of a declining but increasingly violent Student Non-Violent Coordinating Committee. A firestorm of controversy erupted over the invitation to Carmichael. Letters and phone calls poured into the chancellor’s office, both before and after the event. Heard stood firm in the midst of an avalanche of both disapproving and supporting mail. “The university’s obligation is not to protect students from ideas, but rather to expose them to ideas, and to help make them capable of handling and, hopefully, having ideas,” Heard had said in 1966. Carmichael’s eloquent and moderate speech at Vanderbilt caused no controversy itself, and he then spoke at Fisk University before traveling on to Knoxville. Some of his SNCC associates remained in Nashville, however, and riots broke out in North Nashville at about 8 p.m. on April 8 and continued through the night and the following day. Heard, however, had made his point and the concept of an open forum at the university was never again questioned. Students returned to the chancellor the same respect he accorded them and, partly as a result of his defense of the open forum, Vanderbilt escaped the massive protests and associated administrative problems that engulfed so many American universities in the late 1960s and early 1970s. Heard also attributed Vanderbilt’s success during this period, in part, to its willingness to alter and adjust its way of doing things, including its system of internal governance, in order to create a harmonious and productive educational community. Still, he never let his guard down. Another segment of the Heard legacy was his successful effort to place the first woman, Mary Jane Werthan, on the Board of Trust. He also convinced the board to create a new class of trustees – four recent graduates – to assure a youthful perspective would be heard by the board. Vanderbilt was one of the first universities in the nation to do so. During Heard’s administration, the Owen Graduate School of Management was established, the Vanderbilt school of education was created through the merger with Peabody College, and the Blair School of Music merged with Vanderbilt. A giant in his field, Heard was the recipient of 27 honorary degrees from various colleges and universities over the years. Columbia University was one of at least a half dozen universities that tried to hire him away from Vanderbilt. Further evidence of his national stature was the fact that three U.S. presidents sought his advice on various matters. In 1961 and 1962, Heard served as chairman of President John F. Kennedy’s bipartisan Commission on Presidential Campaign Costs. President Lyndon Johnson appointed him to the National Citizens’ Committee for Community Relations in 1964, the Task Force on Education in 1966 and the Advisory Commission on Intergovernmental Relations in 1967. During the Richard Nixon administration, he served on the Commission on White House Fellows from 1969 to 1971, the Task Force on Priorities in Higher Education in 1969 and as special adviser to the president on campus affairs. Heard became chairman of the board of the Ford Foundation in 1972. He also served on the board of Time, Inc.
Heard gave his last speech as chancellor of Vanderbilt to the graduating class of May 1982. He left office in July 1, 1982, in order to accept an offer by the Alfred P. Sloan Foundation to head a major three-year study of the presidential election process in America. The research area was similar to that Heard had conducted during his career as a political scientist. A resulting book, Presidential Selection, was edited with Michael Nelson in 1987. He followed with Made in America – Improving the Nomination and Election of Presidents in 1991. 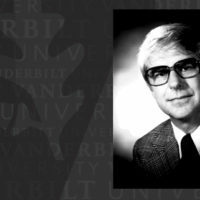 His final book was Speaking of the University: Two Decades at Vanderbilt. The book contains a selection from the nearly 1,000 speeches Heard gave over the course of his two decades as chancellor. Heard had been serving as dean of the Graduate School at the University of North Carolina when Vanderbilt tapped him for its top job in 1963, succeeding Harvie Branscomb. Heard had decided on a career in academia, instead of government service, after World War II. He assisted V.O. Key Jr. at the University of Alabama in a now classic three-year study of Southern politics funded by the Rockefeller Foundation. He gained recognition as assistant author of the 1949 book that resulted from the study, Southern Politics in State and Nation. He returned to his alma mater, the University of North Carolina, as an associate professor of political science in 1950 and moved up to full professor in January 1952. In 1952, he revised his dissertation into the book, A Two Party South?, in which he correctly predicted the early emergence of a two-party system in the region. Heard’s study on campaign financing resulted in a major book, The Costs of Democracy. The book marked him as one of the top three or four students of government and helped secure his election as president of the Southern Political Science Association in 1961-62. Before World War II, Heard had served in several U.S. government agencies, including the Civilian Conservation Corps, the National Park Service, the Works Progress Administration, the Department of Interior, the Office of Indian Affairs, the War Department and the State Department. From 1941 to 1943 he was vice consul and assistant to the chief, Economic Warfare Division, at the American Embassy in Quito, Ecuador. Heard served on active duty as an officer in the U.S. Naval Reserve in the Pacific from 1943 to 1946. George Alexander Heard was born in Savannah, Ga., March 14, 1917. His father was an engineer, inventor and businessman and his mother a public school administrator. He earned his B.A. from the University of North Carolina in 1938 and received both his M.A. in 1948 and Ph.D. in 1951 from Columbia University. Heard met his wife, the former Jean Keller, while in Alabama doing the research work with Key. The university’s library system, the Jean and Alexander Heard Library, is named in their honor. Since 1982, Vanderbilt has awarded annually the Alexander Heard Distinguished Service Professor Award to a faculty member for contributions to the understanding of problems of contemporary society. Heard is survived by his wife and four children: Stephen, a Nashville attorney; Christopher, an acknowledgements coordinator for Vanderbilt’s development office; Frank, a Florida businessman; and Connie Heard, Valere Blair Potter professor of violin at Vanderbilt’s Blair School of Music; and two grandchildren: Alexander Michael Heard of Boca Raton, Fla., and George Alexander Meyer of Nashville. A memorial service will be held Wednesday, July 29, at 3 p.m. in Benton Chapel on Vanderbilt’s campus; it will be streamed live on VUCast. In lieu of flowers, donations may be made to the Alexander Heard Memorial Fund at Vanderbilt. By arrangement with the university, Heard’s ashes will be interred at Benton Chapel.